I tend to spend a lot of time in Birmingham city centre, so I love when I have the opportunity to discover venues outside of the centre. The Bulls Head in Meriden is just a stones throw away from Solihull, and a short drive away from Birmingham Airport, a side to the city I very rarely have the chance to head over to. But for me, The Bulls Head was well worth the journey. 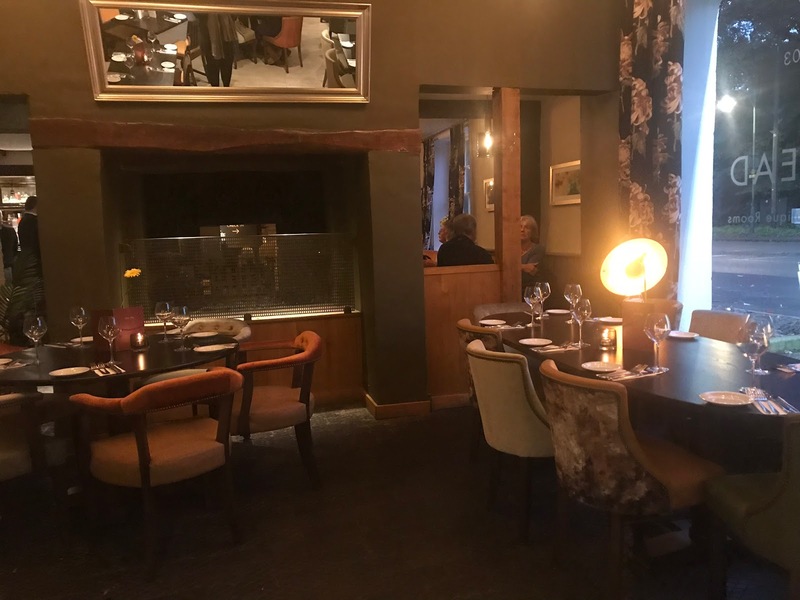 Nestled in a beautiful village in the countryside, it is the ultimate retreat away from the busy city which offers both guaranteed country pub cosy vibes with opulence and class. Upon arrival to The Bulls Head, I couldn't believe just how big the place is! 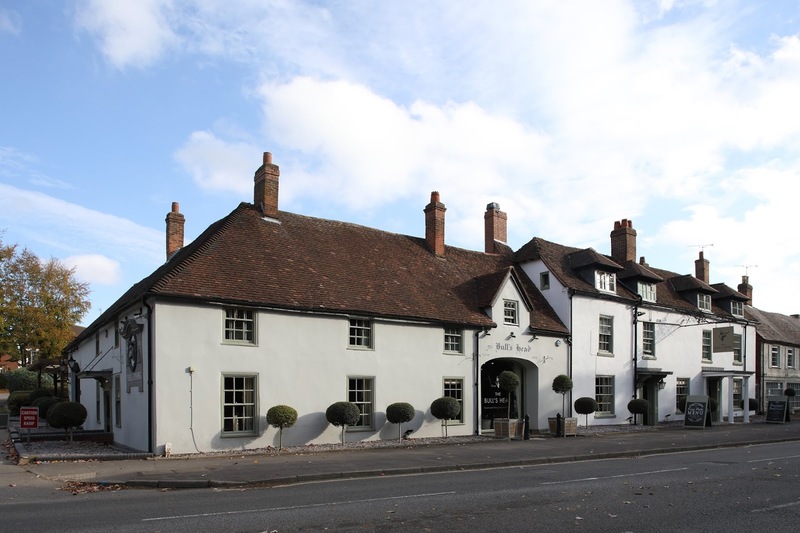 It is a huge venue, with plenty of seating in both the bar and restaurant areas. I was also surprised to see that it is also a hotel with apartments, which immediately made me want to book the night! The outside is decked with stunning fairy lights and cool, instagrammable areas. Inside, the interior has gorgeous, traditional country colours and cosy patterns. The venue is a classic pub, with a modern and opulent touch, and to be honest, I couldn't get enough of the place from the moment I walked in. The Bulls Head is everything I like in a restaurant; quintessentially British, warm, welcoming and cosy. The menu has a wide selection, which includes over 10 starters, a huge range of main courses, as well as steaks and burgers, and pizza and salad options. There was also several sides and an impressive dessert menu, meaning that choosing what to have was a mission itself! If you were to head along with family or friends, I can assure you, there will be something for absolutely everyone. Before getting started on the main event, me and my guest enjoyed the Artisan Rustic Breads from the 'While you Wait' section of the menu. 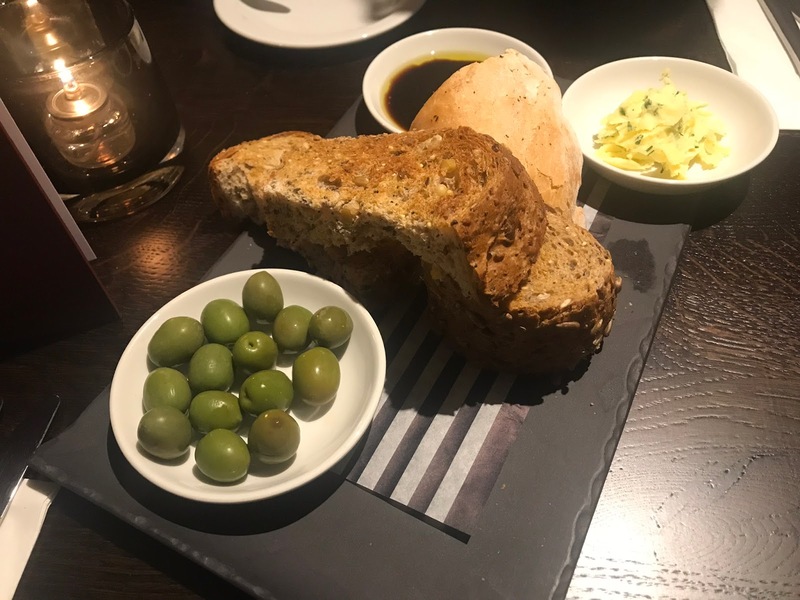 The breads were beautiful and soft, and came accompanied with olives and oil. 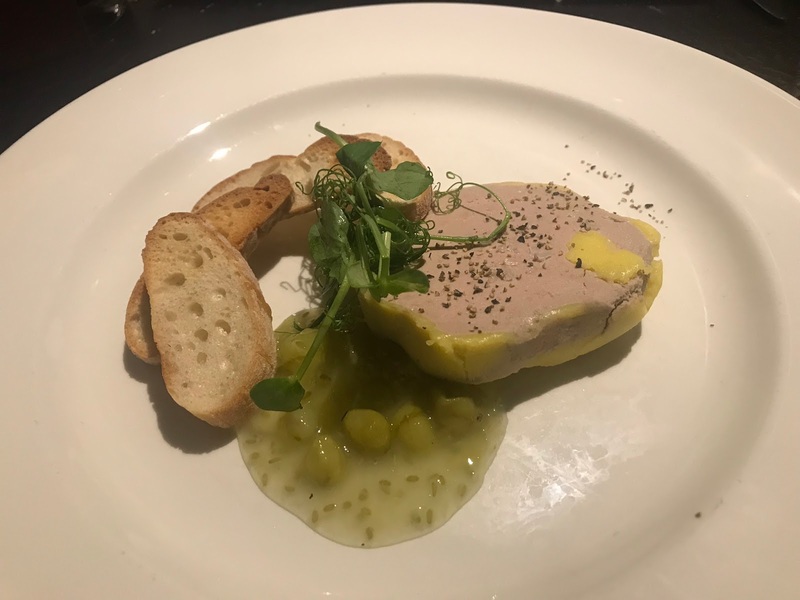 For starters, I went for the Duck Liver and Port Parfait, which came with gooseberry and Prosecco flavour compote and toasted ciabatta bread. It was full of flavour and the pate was very smooth. However, there wasn't enough bread for the portion size. Really, it needed at least four slices instead of the two which came with it. 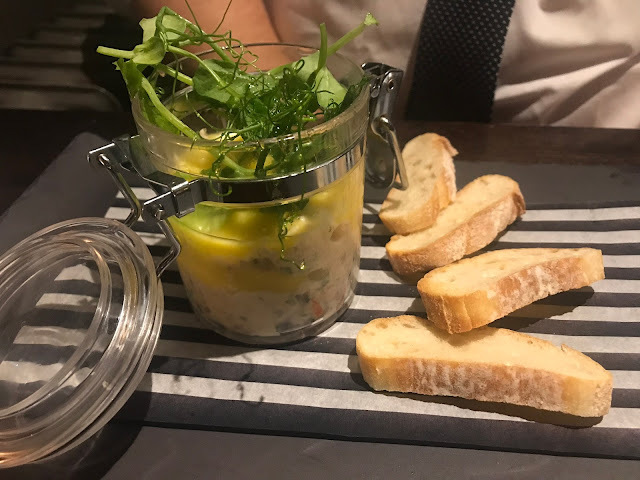 My guest opted for the Lobster and King Prawn Pot, which came with Devon crab creme fraiche and toasted chibatta bread. It came beautifully presented and was totally delicious. 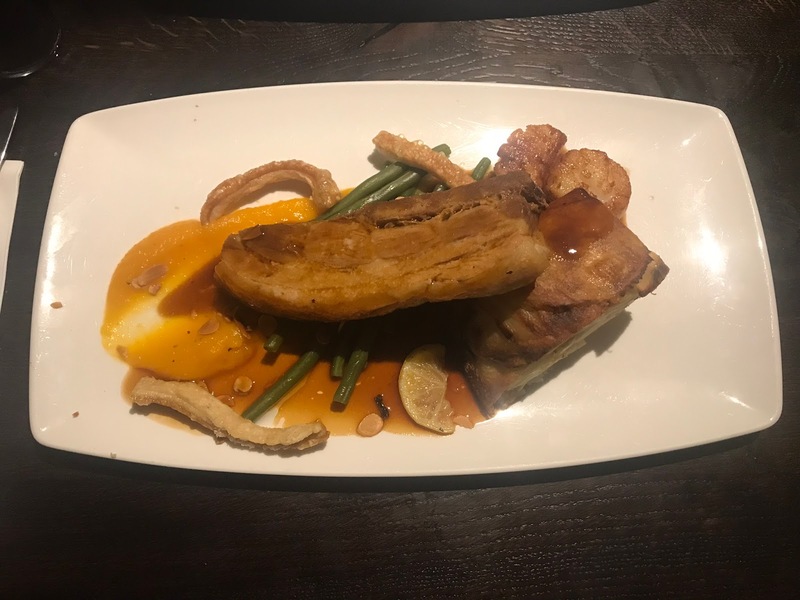 For mains, I went for the Roasted Pork Belly and Seared Scallops, which came with potato dauphinoise, butternut squash purée, green beans, toasted almonds, crackling and red wine jus. It was just incredible. It had so much flavour, and the potato dauphinoise was so soft, the scallops were cooked perfectly and the pork belly was absolutely glorious. 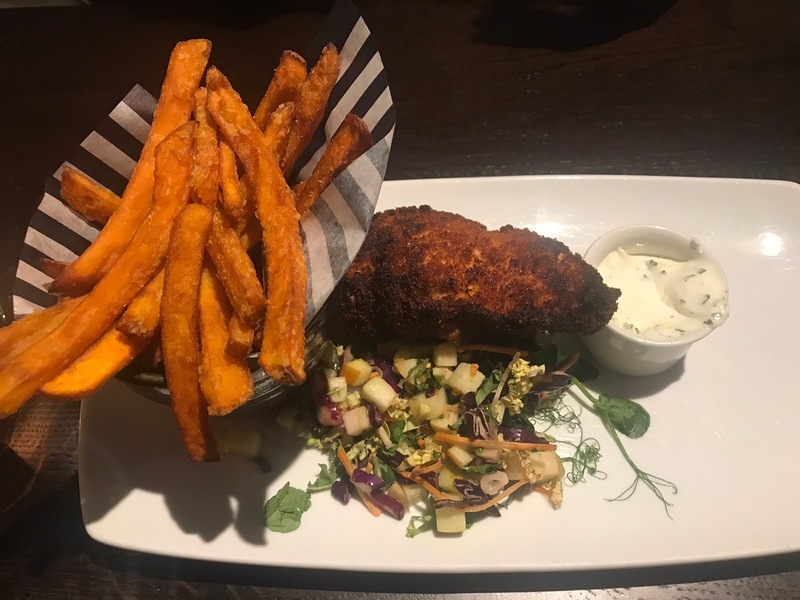 My guest went for the Buttermilk Southern Fried Chicken, which came with sweet potato fries, apple salad and lemon aioli, a classic pub dish with a classy touch. 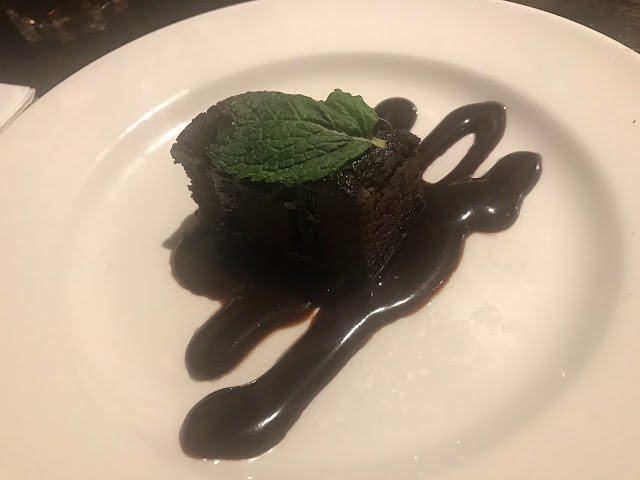 Although we were both completely full, it would be rude to not have a dessert, right?! For dessert, I went for the Mini Desert and Hot Drink option. I chose the Belgian Chocolate Brownie alongside a gorgeous Hot Chocolate. 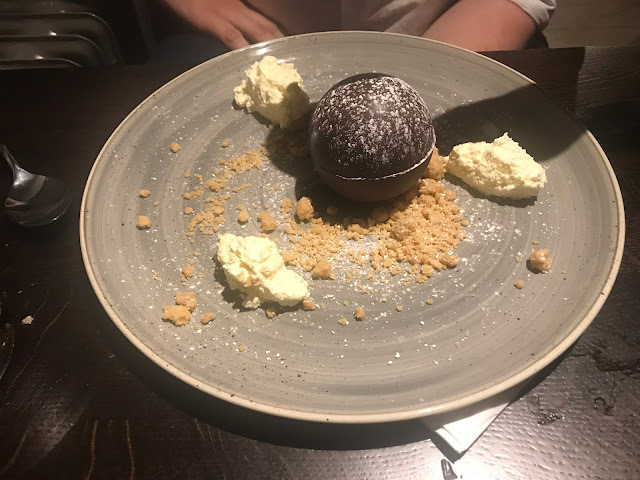 My guest went for the Melting Chocolate and Peanut Bomb, which was served with vanilla ice cream, and of course, the hot salted caramel sauce which melted into the bomb. Me and my guest headed along on a Tuesday evening, and couldn't believe how busy the restaurant was. In the few hours we were there, all the seats filled up, which is a great sign of how good a place is to be that level of busy on a weeknight. However, it did seem like the staff were struggling with just how many people there were. My experience was brilliant, although we did have to wait a while in between courses. I did overhear other customers complaining though about their wait. However, I do think that the staff probably only faced this issue because the amount of people in the restaurant was simply too much on what would normally be a quieter night. I would be surprised if that happened every single night. I absolutely loved my time at The Bulls Head. I am already trying to find reasons to head back over to that side of the city and try more of their incredibly impressive menu. Thanks to its size, it is perfect for both small and large parties, and is also ideal for both occasions and a nice weeknight meal. I can't recommend The Bulls Head enough. You must go and see it for yourself! *Please note: I was invited to review The Bulls Head for press purposes and therefore both mine and my guest's meals were paid for. However, I was under no obligation to write a positive review, I genuinely had an enjoyable meal at the restaurant.